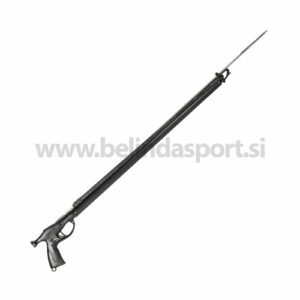 The Pathos Sniper Spear gun is the Ultimate Gun. 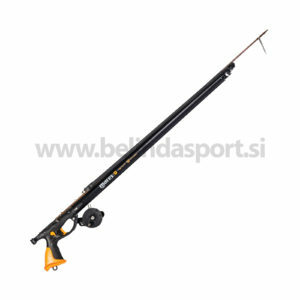 Is designed for experienced spearos who are looking for a powerful tool and hunting big preys. Is the best choice for open water hunting or ambush. 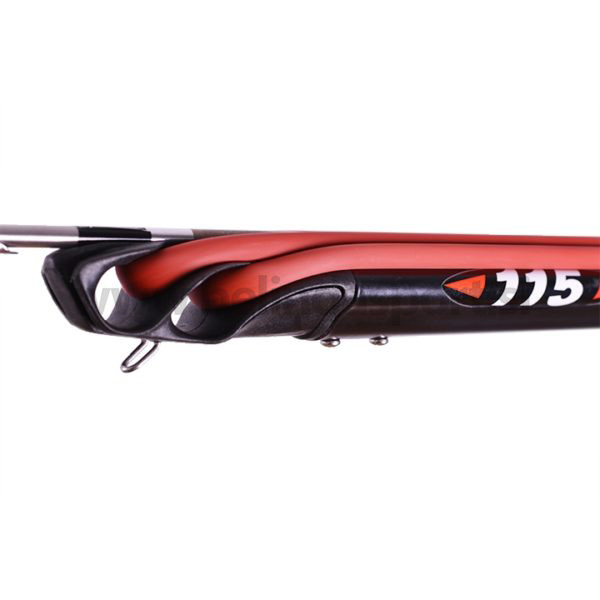 Is compact, minimalist and hydrodynamic. 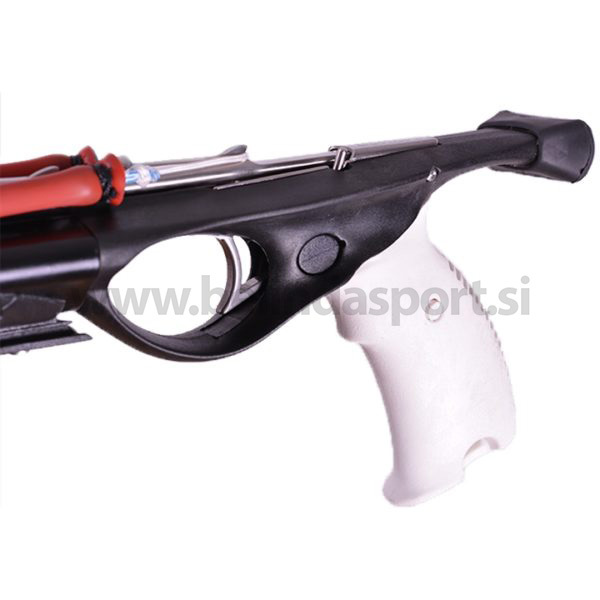 A gun that shoots with accuracy, velocity, is extremely manoeuvrable and very effective. 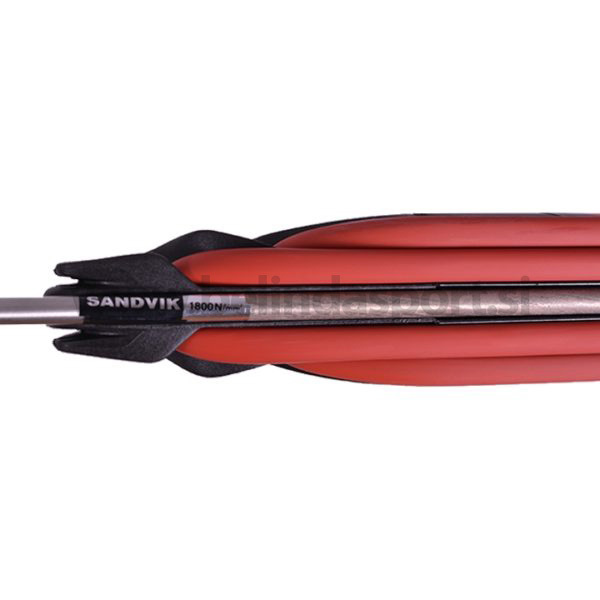 It comes with 6.75mm Sandvik shark-fins shaft with a single barb and a tri-cut point. New open muzzle for circular bands with dyneema wishbones and with position for a second band. 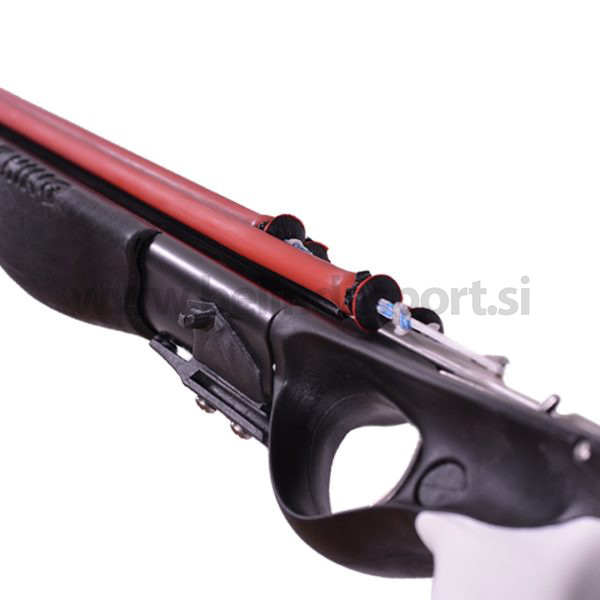 The design is completely rounded to allow for fast repositioning of the shaft after firing, without it having to go in longitudinally with respect to the barrel. 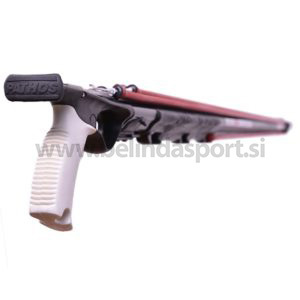 The visibility offered by this muzzle is excellent and aiming is precise, fast and intuitive. 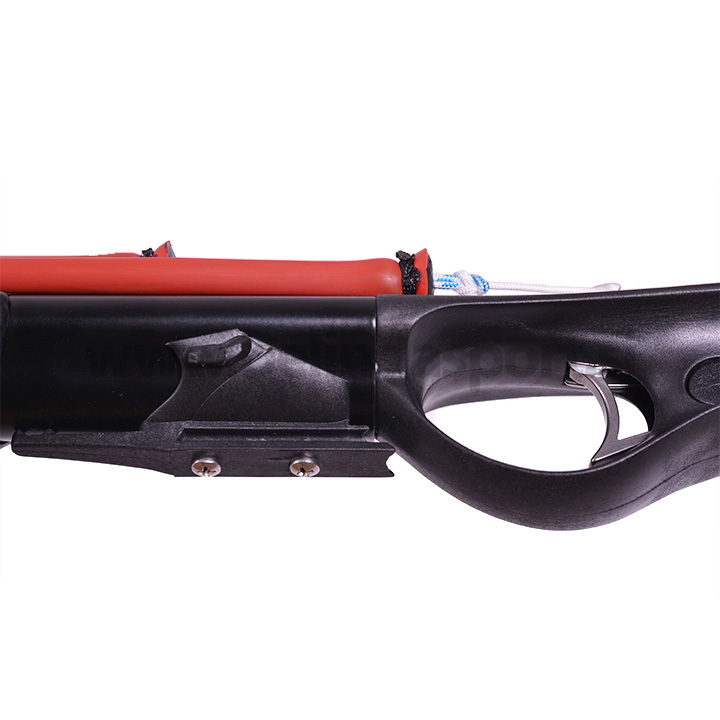 Stainless steel fairlead for the reel rope is placed underneath of the muzzle. 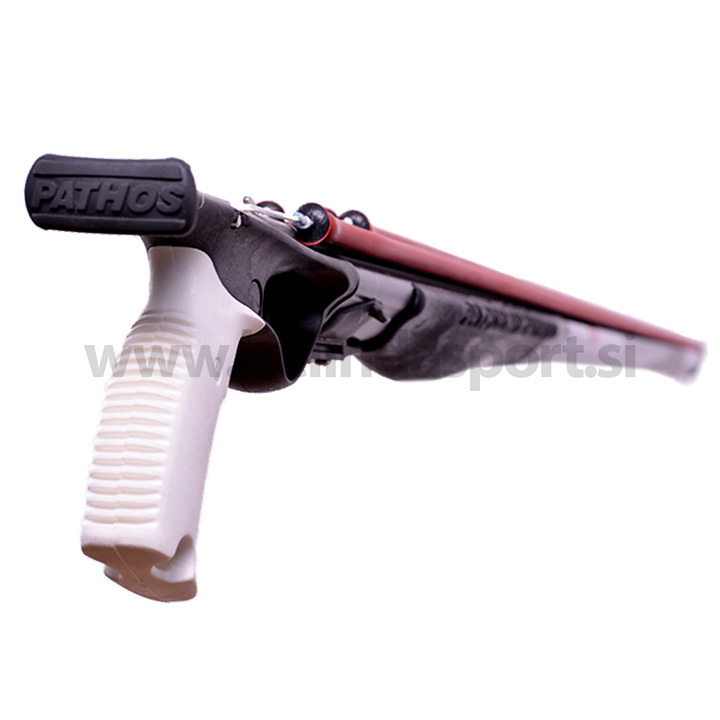 The Handle D’Angelo III Universal, low profile with new stainless steel reverse trigger mechanism that adds extra 7cm of arming length and also is reliable and compatible with all types of shafts, tolerant of different heights, finishing’s and machining and also allows quick release of the shaft. 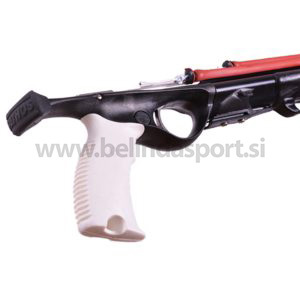 The handle comes with special sternal arming support for avoid any cut on the wetsuits through the gun loading process. 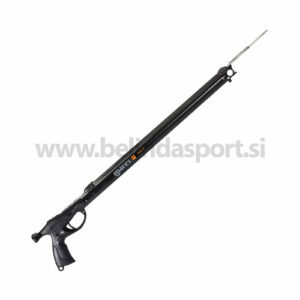 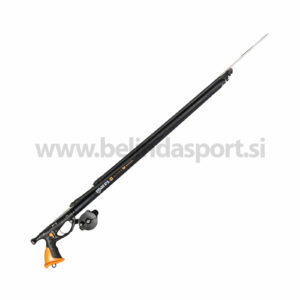 The ergonomic design gives the feeling that the spear gun is an extension of your hand. 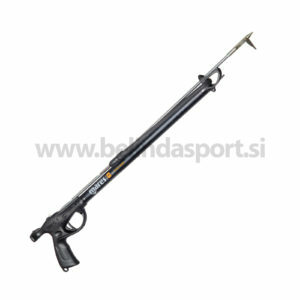 It comes with two 16.0mm TNT power bands with dyneema wishbones that gives to spear gun extremely power. 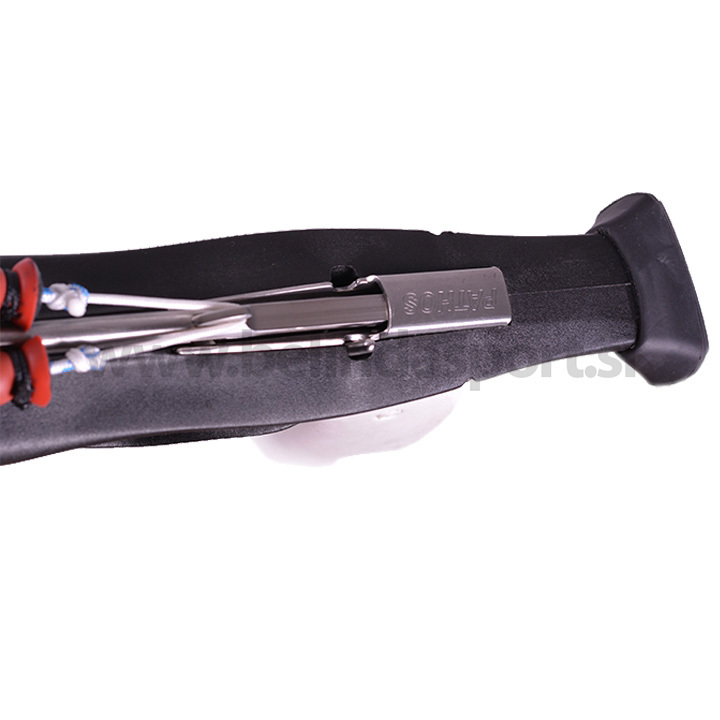 Dyneema Wishbones is considered to be the best and easiest wishbone because of the speciality shark fins have. Fully anodized aluminium mild forming barrel 1.25±0.05mm thickness, with enclosed track and Sepia floater. Reel base so any one of the four Pathos reels can be installed.